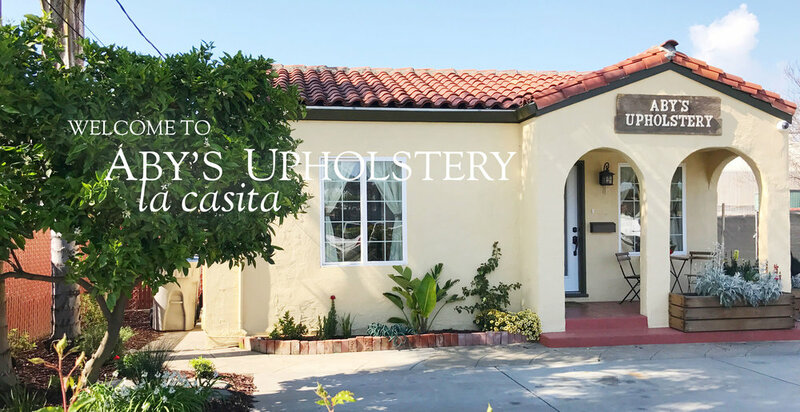 La Casita, is the name that we give our little space here in San Jose. Although the name means little house, we have big dreams and even bigger plans for our showroom and workshop! The showroom itself is staged with one goal in mind: to inspire you to love the space you're in. We hope that you will come to visit and leave inspired about your life and your home. Aby's Upholstery has limited lot parking, but if available, please feel free to pull into the driveway. The entrance is located in the main house. No need to hesitate, feel free to walk right in. Street parking is always available if necessary.